Based in London, but with offices in Luxembourg and licences from Alderney, Belgium and the UK, iSoftBet are one of those modern slots and gaming firms that seems to pop up on everyone's radar when exhibition season comes around. iSoftBet now provides online and mobile casino games to some of the biggest gambling companies in the world. 'Simply Play' is iSoftBet's motto, and the company has been devising some 'simply' great games for years. Founded in 2010 in London from the ashes of late-1990s developer, Fast CPU, iSoftBet swiftly made a mark with some canny branded agreements with big names in the TV and film industry. While the new deals saw many branded titles like Rambo and Beverly Hills 90210 emerge, it's the company's ability to cover all bases that has seen it progress. A Facebook social casino, 'Crazy Slots', takes advantage of the social gaming craze, while a tie-up with Scandinavian operator Vera & John has also seen games launched on Facebook. The company was awarded a licence by the Alderney Gambling Control Commission in 2013 - one of the world's leading gaming jurisdictions - and a UK gaming licence was awarded in 2015 under new laws. Online and mobile slots might be the bedrock of iSoftbet's output, but the UK company also provides full back-end support to online casinos, as well as design some pretty nifty table games and video poker to boot. iSoftBet's several hundred online and mobile slots can (almost) be split into two camps: the modern, 3D beauties like Wisps and Ambiance - part of the developer's 'Lounge Collection' - and some top-notch branded titles produced in tandem with Hollywood players. You're as likely to see casinos packed with exciting games like Platoon, Basic Instinct - released in 2015 but based on the 1991 movie - or Rambo - all using Hollywood source material - as you are slick, attractive slots with innovative features like the Lounge titles. Games have been designed for desktop and mobile alike, with particular attention paid to the tablet market. 2014 and 2015 were big years for slots releases for iSoftBet, with first the branded 24 game hitting casinos and then Wisps and Neon Reels being released for mobile and desktop. 24 - based on the hit TV show starring Kiefer Sutherland as CTU's Jack Bauer - utilises plenty of imagery and FX from the programme but adds a twist in the gameplay. Instead of collecting wins, players run down the clock with every reel win. Once the clock reaches zero, the bonus round starts. And this is where it gets interesting: instead of a boring old 'Pick Me' bonus or free spins, players get the chance to inject some skill into their bonuses by picking off terrorists in an alley. The more you successfully shoot, the more cash you win. Wisps in particular was indicative of where iSoftBet are: part of the 'Lounge' collection of games, Wisps is packed with neon graphics, ambient sounds and innovative gameplay like 243 ways to win, random "bouncing" wilds in the free spins bonus, and wild reels that take off like fireworks at random during the game. Similarly, Ambiance, released around the same time, makes use of the latest 3D graphics on tablets and includes a free spins round which triggers once players 'collect' enough Scatters. It's fair to say when it comes to Flash and HTML5 slots, iSoftBet are right up there with the best of them. iSoftBet isn't all about the slots. With a talented team of software developers, the firm has been busy releasing some of the slickest table games online. American Roulette, a small-bet version of European Roulette for casual gamblers, and a cool '3D roulette game' with an animated 3D wheel for added authenticity have also been designed and released. iSoftBet isn't just a games manufacturer, though. The company's own Game Aggregation Platform (GAP) allows casino operators to distribute up to 30 other providers' games from one platform. 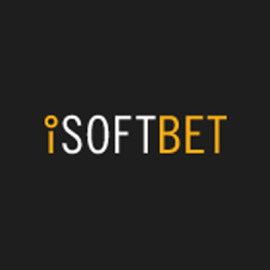 iSoftBet also has a unique back-office system designed in-house which allows operators to move games around lobbies, manage players and access data.